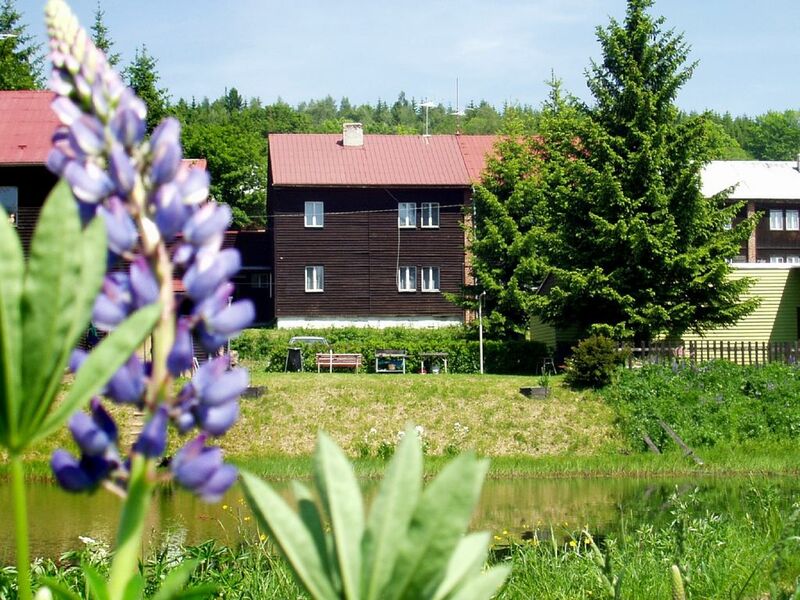 Your vacation object: The Holiday apartment is located on a 419 sqm and an open property with meadow and bushes. Bergbaude. The landlord does not live in the house or on the property. The facilities are at your disposal for common use. The playground with sandpit makes children's hearts beat faster. Barbecue possibilities are available. Altogether 5 beds. Internet access is available in the complex (WLAN, fees included). For the physical well-being there are available 50 restaurants. In the heatable ski room your equipment is safely stored. The spa includes a sauna and massage offers. Your fitness, you can keep busy with tennis, darts and table tennis. Für unsere Gäste gibt es die Möglichkeit, Apiterapeutische Prozeduren mit 10 % Rabatt (API Wellness, API Kosmetik, mongolische Massagen) zu erhalten. Your holiday apartment: Your holiday apartment offers 1 floor, 1 room, is 25 sqm and can accommodate up to 5 persons. On colder days your holiday apartment can be heated with electric heating. Smoking is not permitted inside the rooms. The entrance is on the ground floor and ground level and leads directly in the porch with lounge. The rooms are divided as follows: Living/bedroom as intersecting room, 25 sqm and with 5 single beds, dinette and TV. The dinette offers space for 4 persons. Cooking nook 25 sqm and with dinette, electric cooker, refrigerator (50 l), microwave and electric water boiler. The dinette offers space for 4 persons. You have access to the terrace. Bathroom 6 sqm and with shower and WC. In addition, your holiday apartment is equipped with WLAN- internet access and baby bed. TV or radio channel can be received per satellite. Pets: erlaubt, CZK 150.00/Tier und Tag. bathroom (6 sqm) with shower and WC. season 2019: local tax. season 2020: local tax.